Whether you're about to complete on a new build home or have moved in to find problems, we can connect you with independent on-site snagging inspector today. What’s a Snagging Survey for? A snagging survey is there to spot problems with your new build home. These may be small and cosmetic, to significant and structural. A snagging survey is a visual survey to check the quality of workmanship against applicable standards. A good snagging inspector should check every aspect of the property that is visible, covering both the interior and the exterior of the property as well as garden, driveway and garage if relevant. We have teamed up with one of the best known snagging inspectors in the UK, New Build Inspections. Fill in the form below and they will get in touch with more details of their service options, costs and help you get the ball rolling. The ideal time to get a professional snagging survey done is before you exchange contracts with the developer. However, many developers will not allow snagging inspections to be done before completion. If this is the case with your developer, you should book in the snagging survey as soon as possible after you’ve moved in. You can of course have a snagging survey done at any time once you have moved in, but make sure you get one done early and well before the end of the first two years, and reported to your house builder to remedy issues highlighted in the survey. You can also create a snagging list yourself but you are unlikely to spot the range of things a professional snagging inspector will identify. An independent snagging survey will also add weight to your complaints if you have found your developer to be unresponsive to your calls for action. 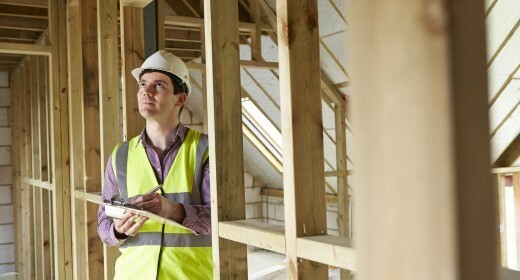 Given the number of complaints and calls for help we get from visitors to our website, the HomeOwners Alliance is proud to have teamed up with one of the best known snagging inspectors in the UK, New Build Inspections. Unlike many other snagging companies, they never work for developers or builders so can retain their independence. Their inspectors are highly qualified and experienced and have inspected thousands of new homes nationwide. They bring together the knowledge and experience of chartered surveyors, senior site managers, building surveyors, architects and developers to produce their new homes snagging methodology. Once this process has begun the New Build Inspectors will be available to provide free support and advice. The HomeOwners Alliance continues to campaign for better quality new build homes and snagging surveys to be allowed on all new developments before completion. Join us today to put your voice to ours.